Kristi: Your journey with the Joffrey started prior to being selected as a choreographer for Winning Works. Can you take us back to the first time you were involved with the Joffrey, and trace your journey to present day? Coming back to the Joffrey now as a Winning Works choreographer has been such a rewarding, full circle moment for me. They took a chance on me back then as a dancer, and now they’re taking a chance on me again as a choreographer. Luis: I actually began dancing through the Joffrey’s community outreach program with After School Matters. I was 17 years old, and my only formal dance training prior to the audition was learning what I could from YouTube videos. The Joffrey saw something in me and decided to accept me into their program. They told me I had a lot of catching up to do, but encouraged me to work hard and chase my dream. Coming back to the Joffrey now as a Winning Works choreographer has been such a rewarding, full circle moment for me. They took a chance on me back then as a dancer, and now they’re taking a chance on me again as a choreographer. Kristi: Tell us about the piece you are creating for Winning Works. Can you tell us about your movement aesthetic and approach to the choreographic process? How do you begin your process of creation, and what was the driving force behind this particular piece? Luis: The piece that I’m choreographing for Winning Works is titled Sea of Comets, and is a 13-minute ensemble piece for 14 dancers. In my head, this piece takes place directly after my piece Siren, which was created for the final installment of Thodos Dance Chicago’s New Dances concert. Siren was all about portraying how a traumatic experience ripples through the psyche of an individual and community as a whole. Sea of Comets focuses on how you can rebuild yourself and your environment after an outside force ruptures what once felt safe. Dancers in the beginning of the piece try to cast sparks of hope, until they eventually catch on fire, and ignite into a swirling flame by the end of the work. [Sea of Comets] in particular is inspired by the duality of nature. I think is beautiful how a snowflake is soft and delicate, yet can change into a powerful blizzard – same with a drop of water being a part of a giant tidal wave. All of my works are also deeply inspired by nature. This piece in particular is inspired by the duality of nature. I think is beautiful how a snowflake is soft and delicate, yet can change into a powerful blizzard – same with a drop of water being a part of a giant tidal wave. I love a quiet strength. I try to reflect that in my movement. Kristi: Most of your time in Chicago has been spent as a dancer, performing the works of other choreographers. Can you talk about the mental (and perhaps physical changes) that come along with being both a choreographer and a dancer at the same time? What challenges do you face switching from one to the other, and how do those challenges fuel your growth as an overall artist? Luis: Back when I was in college, I always thought that I would be a professional dancer for many years, and once I retired from performing I would then maybe consider choreographing. The reality is that my choreographic career is starting to take shape at the same time that I’m still actively pursuing my performing career. Navigating the two has not been easy (I’ve started using a planner for the first time in my life!) but I think for me, the two paths crossing has only strengthened each discipline. I think my choreography has strengthened because I’ve danced in other works. Being a choreographer has shed some new light on how helpful it is to the choreographer when, as a dancer, you’re constantly investigating the movement, even if the choreographer is not directly working with you. That being said, when I create a new work I try to avoid taking too many contemporary classes. Since I’m still a very new choreographer, I want to make sure that all of the movements come from my own body. It’s so easy for other people’s movement to sneak into your work without you realizing it! Kristi: As an experienced contemporary dancer, what was it like working in your movement aesthetic with a body of classically trained ballet dancers? 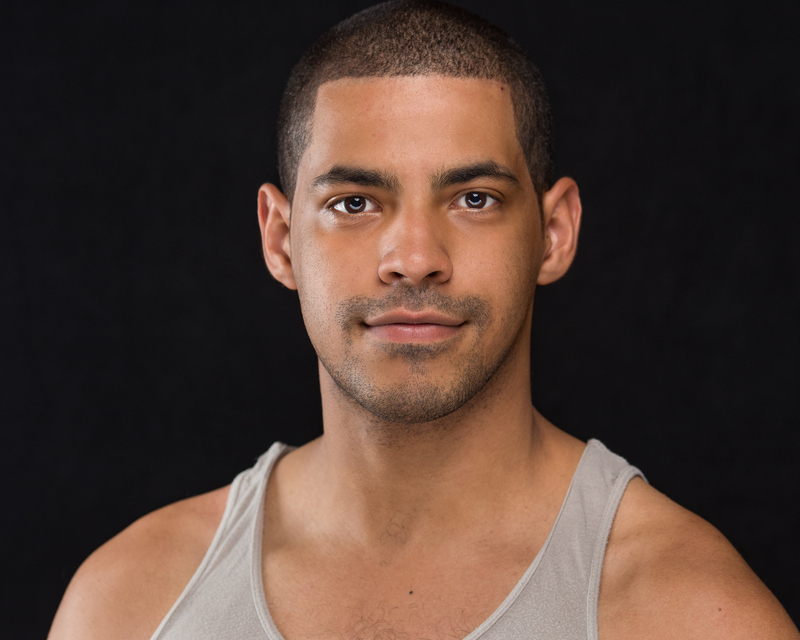 Luis: This was my first time working with dancers who primarily perform classical ballet. Walking into the process I thought to myself, what would it look like if Luis dipped his toe in the ballet world? I wanted Sea of Comets to be a middle ground where the dancers and I worked together to create a land where dancers flow through classical lines, with the center and attack of a contemporary dancer. It took a couple days for the language to click, but once it did the growth I saw in the piece and dancers was breathtaking. I owe a humongous thank you to Anastacia Holden, who was my Ballet Mater for Sea of Comets. Anastacia had a 14-year tenure with the Joffrey Ballet, and it shows. Her body and brain have such a deep kinesthetic awareness of how the ballet technique can be applied to every single one of my steps. Whenever I was having trouble getting some choreography into the bodies of my dancers, she was able to apply my movement through a ballet filter and get exactly what I needed out of my cast of 14 highly skilled dancers. She was an integral part of the piece. I am so grateful for her time, and she also saved me so many grey hairs! I wanted Sea of Comets to be a middle ground where the dancers and I worked together to create a land where dancers flow through classical lines, with the center and attack of a contemporary dancer. Kristi: One of the most vital parts of creating any choreographic work is the editing process. There are some choreographers who edit alone, others who bring in a fresh set of eyes at the end of their choreographic process, and those who choose to have their editors with them throughout. Can you shed some light on what the editing process was like for Sea of Comets? I always joke that I can create about 35 new works, but editing and really cleaning just one piece is what stresses me out. 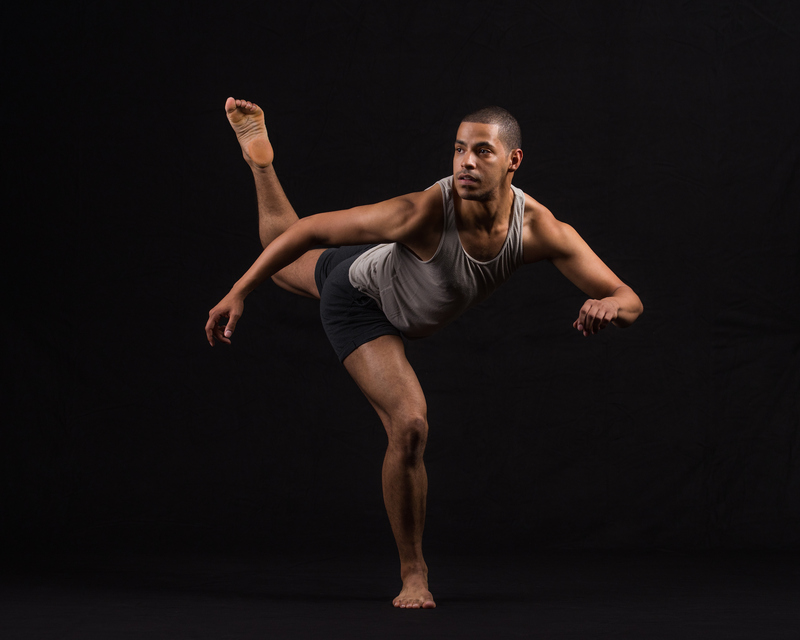 Luis: Editing is probably the area that I am most self conscious about as a choreographer. I always joke that I can create about 35 new works, but editing and really cleaning just one piece is what stresses me out. At the end of the day, all of the movement and ideas come from me, but I always bring in friends and colleagues to look at the work in progress and give me their thoughts. Even watching your piece when someone is next to you makes you notice different areas you might want to change. For Sea of Comets, I asked Zachary Whittenburg to come in halfway through my process to give me his thoughts. I met Zac when he was on the New Dances panel. His feedback is so helpful because he not only gives incredible notes about the choreography, but being a dancer himself he helped give me new ideas on how to coach the dancers and flush out my movement even more. I am very happy to revisit Sea of Comets when I return for tech week, and get it ready for the show! This process has been a whirlwind, but I loved every second of it and I hope it leads to many more choreographic opportunities. Sea of Comets premieres at the 8th Annual Winning Works, presented by The Joffrey Academy of Dance. Performances take place March 3 & 4 at 7pm and March 4 at 2pm at the Edlis Neeson Theater at the Museum of Contemporary Art Chicago. To learn more and purchase tickets, visit joffrey.org/winningworks.